Atari Box – The Dawning Of A New Atari System? Well here is something I did NOT expect to see when I turned on my computer this evening. With E3 right around the corner and every major gaming company, developer and outlet clamoring for your attention, Atari is making waves with something so insanely cryptic it is driving gamers mad. 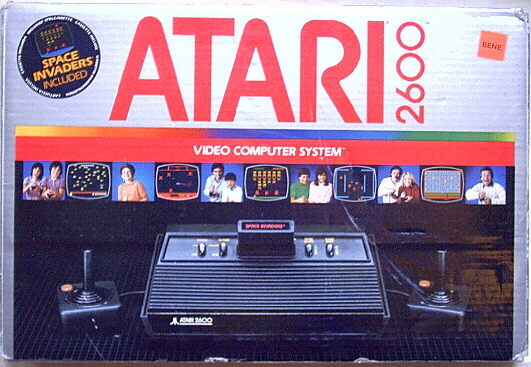 Yes, when I say Atari, I do mean Atari! The grandfather of home video game consoles whose name is synonymous with gaming legends and legendary failures, has announced a new product called “The Atari Box”, a gaming product that Atari themselves claims to have been years in the making. Now, I can hear you saying, that this is probably just another plug and play legends console. Well, according to a prominent member on Atari Age forums, the go to source for all things Atari, he was approached by Atari to be a member of a focus group on the Atari Box and confirms that this is something wholly new to the gaming industry. Really, that is absolutely all we know as of now. Not a whole lot to go on, but you have to admit, having a new system enter the market with the name Atari attached to it is nothing if not exciting for us gamers that were born with a joystick in our hands. Atari did release a teaser video that really doesn’t show anything except for an animated fly over of a classic 2600 looking console. if you are interested and want to follow along with any announcements you can check out the Ataribox website. Of course we will continue to follow this interesting story and let you know all the latest info as it is released.